Fear of public speaking seems to be universally man’s greatest phobia—ahead of even fear of death, according to Psychology Today. Yet glossophobia, which is defined as fear of public speaking or speaking in general, can be overcome (or at least, greatly reduced) by implementing a few easy strategies. If you are determined to overcome this particular phobia, make full use of the following seven tips to help you achieve your goal as painlessly as possible. People who never overcome their fear of public speaking are also people who try to avoid it as much as possible. Their speaking gigs are few and far between and as a result, they don’t build on previous successes or grow comfortable through repetition. Every time they have to speak in public, it’s as if they are starting all over again from square one—and emotionally, they are. 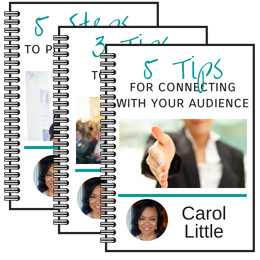 Create a speaker schedule for yourself. Host a podcast or monthly webinar. Volunteer to give talks at your local business organizations, non-profit clubs, colleges, schools or university. Space out your talks so that at least once a week or so, you’re talking to someone, somewhere. 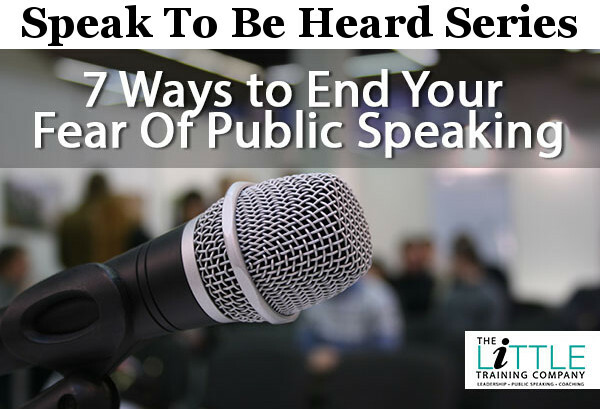 This is the quickest and most powerful way to permanently knock the edge off of your glossophobia and bring public speaking to an enjoyable and comfortable state. One of the biggest favors you can do for yourself is creating a routine to help you slow and deepen your breathing before you go live or step out onto the stage. Since nervousness is physical, using a breathing routine helps to oxygenate the body and causes it to relax and help break the fear cycle. Our bodies respond physiologically, as well as emotionally to stimuli. When you are about to speak on stage your heart may race or your palms may sweat. You might feel shortness of breath, constriction in your throat—all the symptoms of a severe anxiety attack, in fact. Slowing and deepening your breathing (doing pre-speech breathing exercises) changes this physical fear response. Your body will calm down before your mind does! And what is even better, your habit—your slow-breathing, pre-speech routine—will ‘cue’ your body and your emotions to calm down and function, every time. One technique that works well for athletes as well as anyone who has to go onstage: Listen to a ‘playlist’ of music designed to energize or relax you (according to your unique, particular need). In addition to being able to help you get into the appropriate relaxed or energized state, music triggers endorphins from the ‘pleasure center’ of your brain, distracting you from non-productive thoughts and getting you into a more ‘Zen-like’ state. We don’t mean do aerobics and get all sweaty, but going for a short, brisk walk before your speech is a great way to get all your cells oxygenated and working—and sharpens your brain. Create a general pre-presentation checklist for yourself for both types of presentation—offline and on. And if you are going to do a presentation that is significantly different (for example, going out of town to speak at your first major conference) create an extra checklist specifically for that event. Make sure it includes and materials you need for your presentation too. Listening to TED Talks is a great way to start. Listen to recordings of workshops, seminars and webinars given by your favorite coaches and other influencers. (There are plenty on YouTube.) Make notes on techniques that work, when the speaker pauses, what effects the pauses have; whether or not the pace is too fast or too slow; and more. Studying top-notch speakers is a great way to get in a public speaking mindset—and pick up some great techniques and tips. If you schedule yourself to speak regularly—from the smallest event to the largest, it really doesn’t matter, as long as it’s regular—you will find that you grow less and less nervous before every event. In fact, you’ll come to see your “fear” as excitement and use it to energize yourself. That’s when public speaking becomes one of life’s biggest ‘highs’! And if you do have the odd bad night—because after all, you’re human—don’t beat yourself up. Even the best most highly sought after speakers have an off day. The important thing is to brush yourself off and get back out there!